The ColorStrokes app that we covered last month has become one of the most popular color editing tools on the iPhone and considering how easy it is to use and the gorgeous photographs that it lets users create then it shouldn’t come as a surprise. Continuing the good work and building on the foundations that have been set with the original offering, the developers behind the app have now announced the release of ColorStrokes HD application designed and developed specifically for the iPad. The impressive features that came bundled with the iPhone version were enough to make anyone lay down a few dollars of their money for a premium and powerful editing application. With that said, the screen size of the iPhone didn’t lend itself perfectly to this type of editing so it’s undoubtedly a positive thing that the team behind it have released a version purely for the iPad that makes great use of the extra screen real estate. It’s also worth mentioning that this app will also function perfectly on Apple’s new iPad mini and fourth-generation Retina iPad. ColorStrokes HD follows the same pattern that we have seen from other applications of the same type in the fact that users will first of all need to capture or select an image to be used within the app. 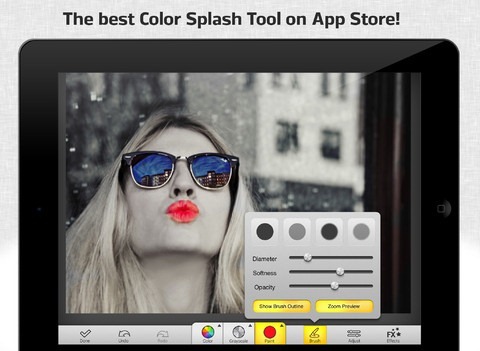 The functionality of the app is all based around turning the image into a grey-scale creation and then letting the user take advantage of various tools and color palettes to add splashes of color at various locations to produce a dramatic and engaging effect. 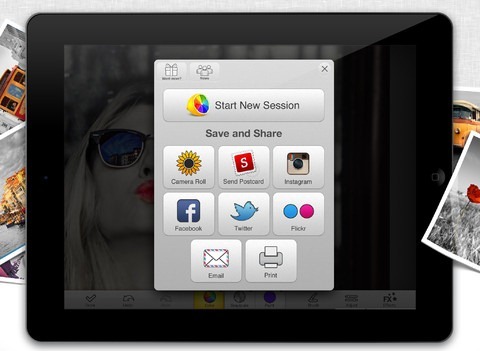 The toolbar along the bottom of the app contains all of the tools necessary to get the job done. The editing toolbar contains options such as undoing the last action or confirming that editing is complete as well as being able to select between adding color or greying areas out and choose from some pre-defined special effects to spruce the image. The difference between ColorStrokes and other apps of this ilk is that the special effects really allow a new sense of depth to be added to images rather than just splashing color in different places to make them stand out. With the iPad version being much easier to use than the standard iPhone and iPod touch variant, users will enjoy a much better and powerful experience. Being able to import images from the camera roll, the device camera or Facebook gives greater variation and the social sharing of the complete image allows users to show off their colorful creations with the world. 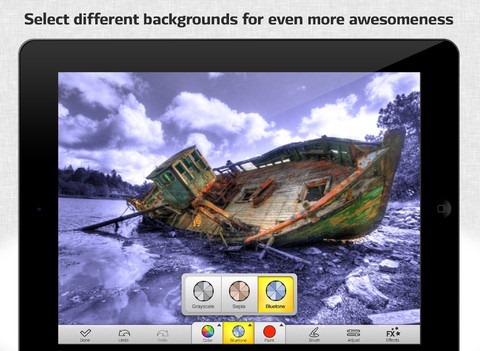 A must-have app for iPad owners out there who love creating great photographs.